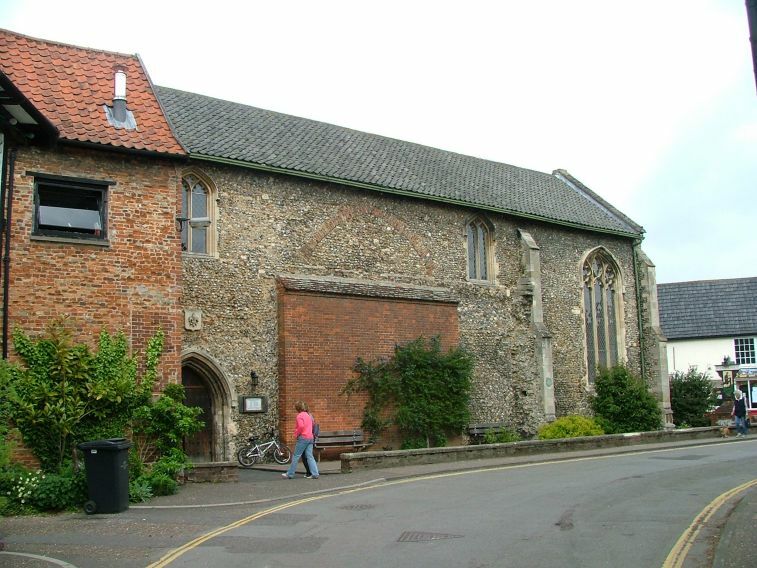 In this loveliest of Norfolk towns, there is one of its finest churches, Wymondham Abbey, the Anglican parish church. 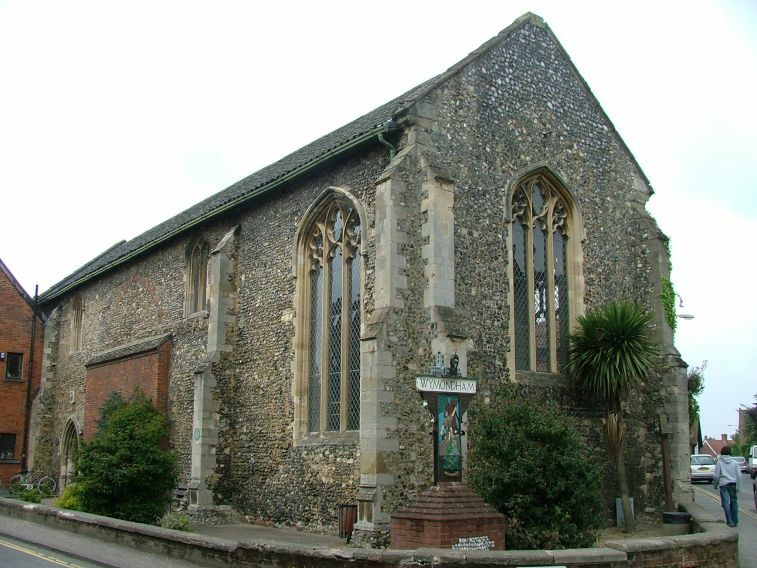 There is also a very interesting Catholic parish church as well, and both are friendly and welcoming, open everyday. 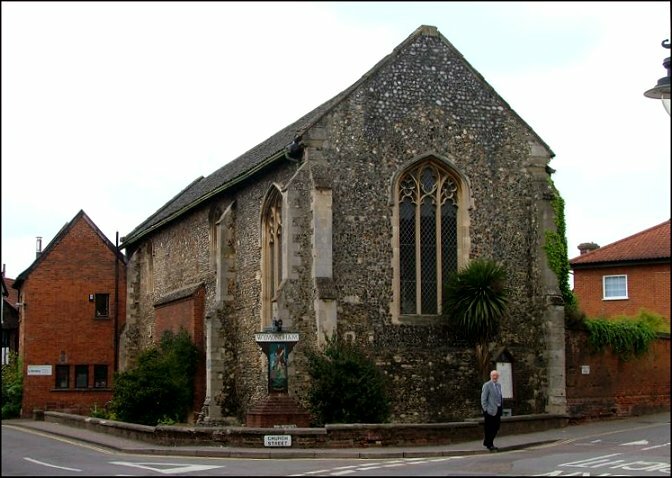 In the days when the Abbey church was the batleground of the political infighting between town and Church, there was a chapel of ease to it up on the high street, the chapel of St Thomas of Canterbury. This chapel fell into disuse at the Reformation, but remarkably it still exists, and is still in use. For many years it was a grammar school, and then in the 1870s it was renovated as a public hall. 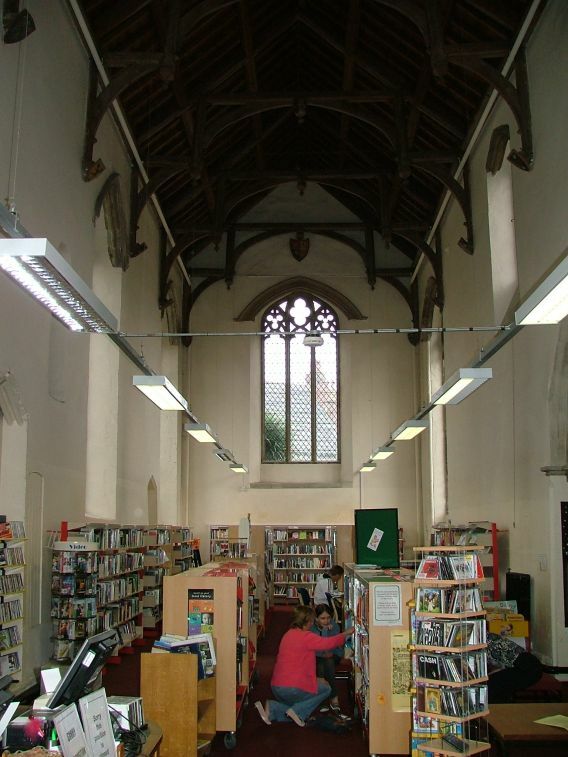 Today, it is Wymondham's branch library. The road beside it is called Church Street, a memory of the past. What you see today is pretty much all of the 14th century, although the actual foundation was a couple of centuries earlier, shortly after the Saint's martyrdom. Being a public library, you can go inside, and they don't mind you taking photographs. It is startlingly like stepping into a church. I don't know why this surprised me. 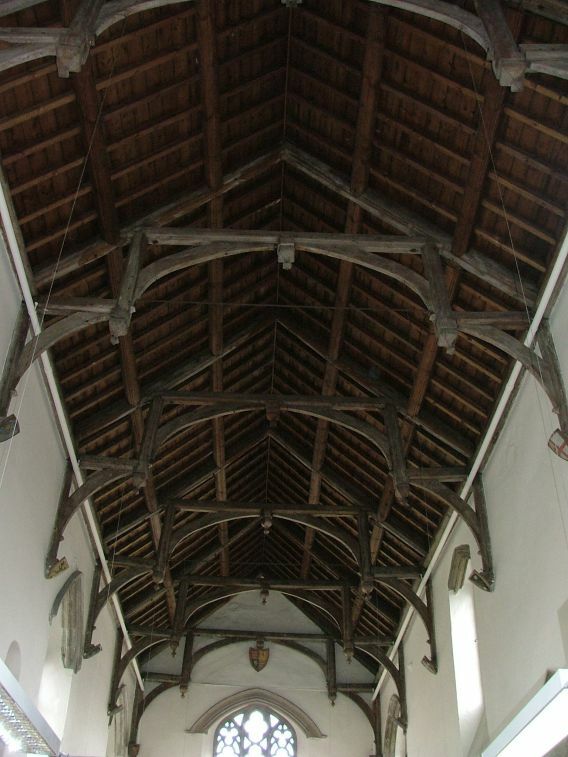 The hammerbeam roof stretches like a great insect across the space which runs unbroken from west to east. A great arch in the west wall contains an intricate window, and another in the north wall may once have led to a bell tower. There is another blind archway in the south wall. The east window is high and beautiful. A blind Norman window in the north wall may indicate that this is from the original church. If you are planning a visit, it would be worth checking on opening hours. 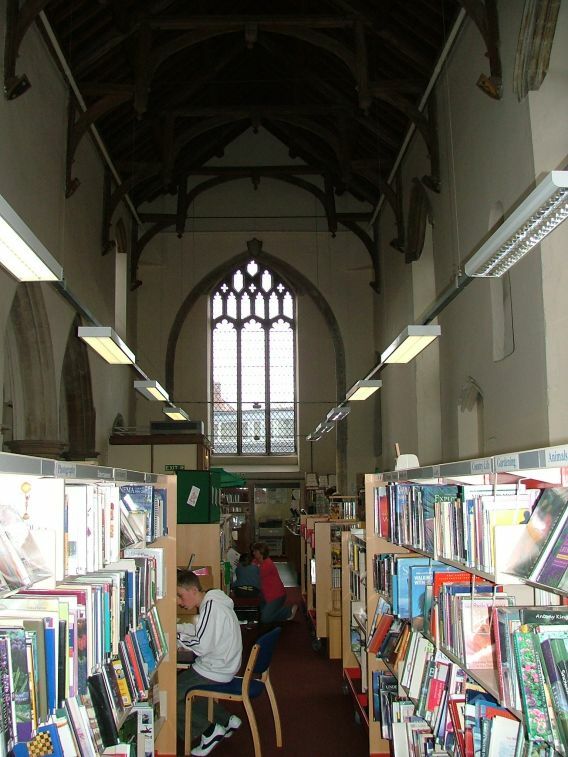 Coming from Suffolk, I was a bit shocked by how much time Norfolk's libraries spend closed - they don't seem to open in the evenings or on Sundays at all, and some even close on Saturday afternoons - how odd!